Ms. Perlman is an accomplished practitioner in estate planning, including wills, trusts, health care advance directives, and powers of attorney. She will listen to your needs, provide advice, and prepare documents to protect you and your family in the event of disability or death. Ms. Perlman also handles residential real estate transactions and prepares and reviews purchase contracts and conducts settlements on the purchase or refinance of houses and condominiums in Maryland. In addition to real estate settlement services, Ms. Perlman also prepares property co-ownership contracts, living together agreements, and property buyout agreements, which are often necessary for unmarried couples. She practices family law, including second parent adoptions, divorces, prenuptial agreements, and property division cases. 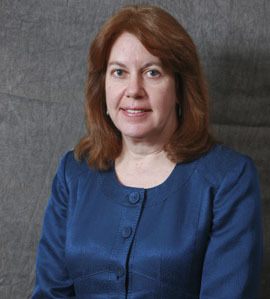 Ms. Perlman has extensive experience in all facets of municipal law and local government representation. Ms. Perlman has been affiliated with Silber, Perlman, Sigman & Tilev (and its predecessor firms, Silber & Perlman, P.A., Silber, Andalman, Perlman, & Flynn, P.A., and Law Offices of Susan Silber) since 1988. Prior to joining SPS&T, Ms. Perlman was employed as an associate attorney with Chadwick & Whaley, a general practice law firm in Rockville, Maryland. Co-authored “Special Legal Concerns of Unmarried Couples” and “Drafting Agreements for Living Together” chapters in PreMarital Agreements and Contracts for Living Together, Maryland Institute for Continuing Professional Education of Lawyers (1992).